This young man had an accident at work. A blow to his mouth by a blunt object knocked out two of his front teeth. He also had some dental work that was not very esthetic. Along with his teeth, some jaw bone was knocked out as well. 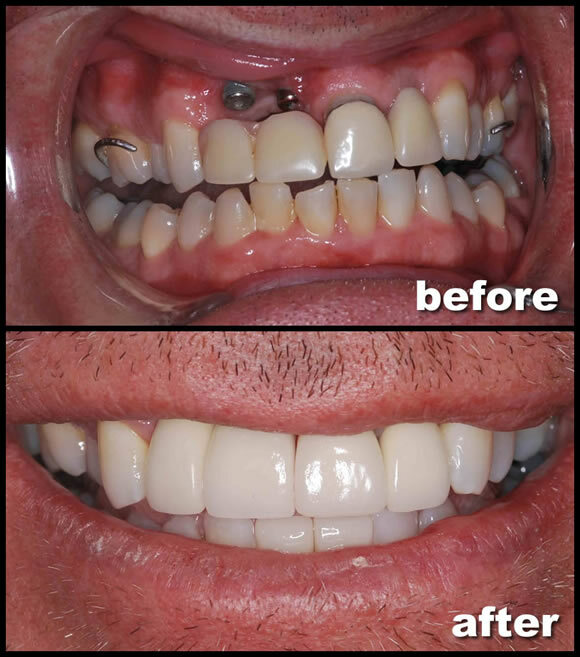 Dental implants were placed to replace his missing teeth and porcelain crowns and veneers were placed on his other front four teeth. 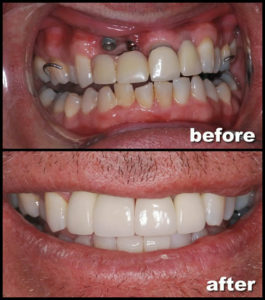 Not only were his front teeth replaced but his smile was dramatically improved from new porcelain crowns.